In this Dubspot Radio Podcast, Queens, New York representative and Los Angeles beat scene alumni P.U.D.G.E. stopped by for an exclusive live performance and interview. “Music is My Religion” ~ P.U.D.G.E. P.U.D.G.E. started out DJing in the mid 90′s in his hometown of Jamaica, Queens. Studying local DJ legends and Jamaican Sound Systems, all the while honing his skills in the “blend-tape” era, he focused on perfecting the art of live “blends” and remixes. After graduating SJU in NY, he relocated to Los Angeles in 04′ to jump-start his musical career. There, he acted as tour DJ for L.A. Hip-Hop legends Fat Lip (Pharcyde) and Myka Nyne (Freestyle Fellowship). He has worked with and performed alongside famed LA Beatsmiths Flying Lotus, Computer Jay, Dibiase, and Ras G. He has also released various instrumental projects as part of the then burgeoning LA “Beat Scene.” His release, “Idiot Box” (Ramp Recordings) is featured on the All City LA series, released in 2010. 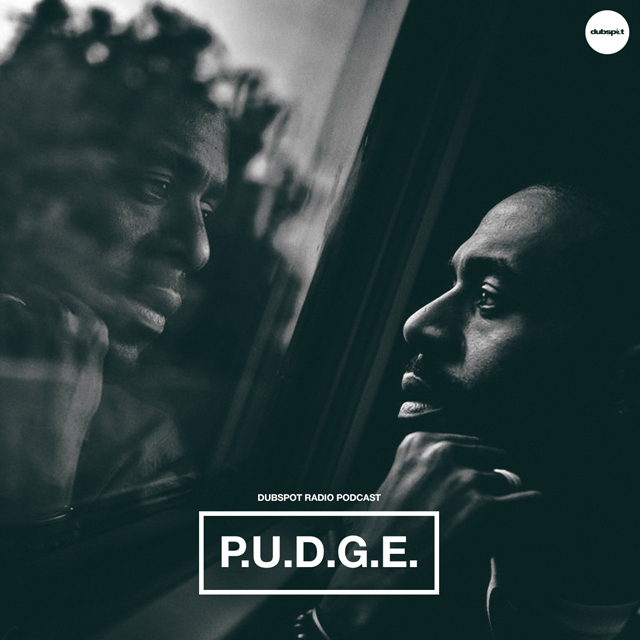 P.U.D.G.E has had the honor of showcasing his unique DJ style and passion for music to world-famous parties and venues. Hue has performed at Do-Over (LA), Bodega (LA), Low-End Theory (LA), and various UK/EU festivals and nightclubs. He also performed in various performance spaces, Art Galleries, and pop-up parties in NY. Currently, P.U.D.G.E is a resident DJ and one of the founders of a monthly event called “EyeSpy” in Brooklyn. His DJ and Production sets draw from a broad range of influences; you can catch him spinning anything from Reggae to Rock, Hip-Hop, and Afrobeat, back to Jazz and Funk. P.U.D.G.E. continues to drop independent remixes and Beat projects via pudge222.bandcamp.com. He is often seen having a great time playing music for the masses. Tune in and absorb P.U.D.G.E. has he spreads good vibes of great music as far as the sound will reach. Keep up with P.U.D.G.E. on Soundcloud, Facebook, and Twitter.